Note: There is a lot on the internet about Michael Moran and the tow barge on the Erie Canal and the tow company in New York City. I cannot find anything about the liquor business. There may have been two Michael Morans: one in liquor and one in towing. Marriage: Margaret Haggerty born Ireland circa 1842. According to several articles on the Moran family, she was from Albany, New York. Mother of Margaret Haggerty: Catherine born Ireland circa 1805-1808. She was in the 1875 and 1880 censuses with the Moran family. Sister: Kate Haggerty born Ireland circa 1852. Michael Moran was in Brooklyn by 1863 when his son Thomas was born. While I have not found the actual birth record, a daughter Catherine was born in 1866 and the parents were listed as Michael Moran and M. Haggerty. So the Moran family was in Brooklyn at least by 1866. Moreover all of the children born between 1863 and 1874 are listed as born in Brooklyn in the 1875 census. The 1862 directory lists one Michael Moran in Red Hook, laborer h Tremont n Van brunt. The 1863 and 1864 directories list two: laborer h Van Brunt and Tremont and liquors, Summit and Imlay. 1865: only Michael liquor Summit and Imlay. 1866: does not list either of these Michael Morans. 1867: Michael liquor Imlay and Summit. 1869: Both were listed. 1870: only Michael, laborer, home "1" Van Brunt. 1871: Michael Moran, home, 24 William street, boatman, and liquor, India Wharf. 1872: laborer, home 230 Van Brunt. 1873: boatman home 105 William. 1874: 107 William st. agent and 101 Tremont laborer. 1876: Michael agt 14 south N. Y., home 107 William and laborer 101 Tremont, no more liquor. Conclusion: The person on Tremont is not Michael Moran who founded Moran Towing. Question: Is Michael Moran "liquor" the Michael Moran who founded Moran towing? Many Red Hookers who owned liquor stores went on to other occupations. Michael Moran was in Red Hook from at least 1863 and he does not show up as a boatman or on William street until 1871, 8 years later. Many Red Hookers were listed more than once and at more than one address and occupation in a given year in the directories. This is hard to sort our with the common Irish names but apparent with the uncommon German names. There were no listings in the NYC directories for Michael Moran agent, boatman or South Street from 1868 to 1879. Married and had a family. Death: 1902: Age 37. - Every tug in the harbor had it's flag at half mast acknowledging the death of Thomas Moran of 105 Carroll street, son of Michael Moran "one of the largest towboat owners in the port." He had been a gotten his harbor piolets license at age 16. Marriage: Julia Clare Irene Browne daughter of Mrs. Julia Brown married Eugene Moran at St. Stephen's R. C. church, Hicks and Summit. The bride was given away by her brother, James. More. Her father Timothy was a well known furniture dealer in Brooklyn. Chairman of the board of Moran Towing. Commission of the Port of New York. Eugene F. Moran Sr., chairman of Moran Towing and Transportation Co., New York, died last month. He was 89. Moran, the son of company founder Michael Moran, became president of the company in 1906. He served on the Rivers, Harbors and Piers Committee of the Maritime Association of the Port of New York for 50 years. 1904:13 March, Death of William J. Moran son of Michael Moran, tug boat owner, died at the residence of his father 143 Summit street. William had been at Saranac Lake from June until two weeks before his death. Michael Moran had been spending the winter in Kissimee, Fla. and returned home to Brooklyn after his son's death. December 27, 1940 Joseph H. Moran, husband of Elizabeth W and brother of Eugene F Moran; after a short illness at Battle Creek, Michigan. 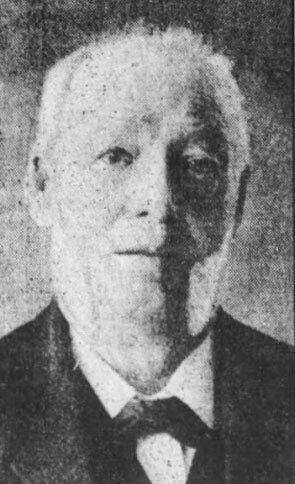 Joseph H. Moran, son of the late Michael and Margaret Moran, born in Brooklyn February 23, 1879, died at age 61 in the Battle Creek Sanitarium, Battle Creek Michigan. He was survived by his widow, Elizabeth Williams Moran and his brother, Eugene F Moran. He had joined the Moran Corporation in 1904. He had lived for many years in Park Slope. The funeral was from the home of his brother-in-law, J. Frank Belford. Edmond (c 1897-1993) worked for Moran towing. Civil War Draft Registration: Moran, Michael, age "34", liquors, unmarried born Ireland, Summit near Van Brunt. 1863 Directory Michael Moran, liquors, Summit and Imlay. 1864 Michael Moran, liquors, Imlay corner Summit. 1866: "Michael Moran Summit and Imlay, rather a bad crowd visit the place. Reserved." 1866 licence review: M Moran corner Imlay and Summit place reported as the resort of rough characters, was arrested for dog fighting but acquitted. Promises to expel roughs and his licence was granted. 1869 Directory Michael Moran, liquors, Summit and Imlay. The new iron ferryboat Erie and the Deleware of the Pavonia ferry line came into violent collision in the middle of the North River at 5:30 o'clock yesterday afternoon. One of the wheelhouses of the Deleware was destroyed and her hull was also so badly injured that the vessel began to leak badly. A terrible panic arose amont the passengers, but fortunately all were safely taken on board a passing canal boat and carried to the Erie Railroad depot. The Delaware was towed to Pier 42 North River, when she ran into and sank the tug Ida Miller, after which she herself sank. Two express wagons full of valuable goods, and a number of horses were on board at the time of the accident. 1873 "105 William" Brooklyn, New York	Boatman Brooklyn, New York, City Directory, 1873. No liquor listed. 1881: Directory - back to Boatman. 1882, 1885, Michael Moran, tugboat, 14 South NY home "143 Summit." Michael Moran the founder of a large tug company started with one tug, the Ida Miller. 1876: Members of the New York Produce Exchange, Michael Moran 107 William Street. 1881: When she was launched the Maggie Moran was one of the fastest tugs in New York Harbor. She was the first tug built specifically for the Moran towing company and the first to bear the family name. Captain Michael Moran the owner of the Maggie Moran was on board the Ida Miller when the Maggie was launched in August 1881. She was named for Michael's wife, Margaret (Maggie) Moran. At the time Michael Moran also owned the Mary N Hogan, the George L Garlick, the Edgar Baxter, the General Rosecrans and the Ida Miller. 1887: Michael Moran owned a tug that was towing a barge when it collided with a steamboat. 1890: Michael Moran was a known tugboat owner of 143 Summit street, South Brooklyn. 1890: Michael Moran of 144 Summit street was owner of the M. Moran which went to the aid of the English clipper ship, Bay of Naples, which was laying of Bedloe's Island with a lost of case oil for Japan when a fire broke out. 1891: Michael Moran was a "well known towboat owner of Summit street" who was owed a few thousand for towage. 1892: The tug James A Dumont, belonging to Michael Moran and captained by Loren Gross left the Atlantic Dock shortly after midnight headed out to sea. It collided with a garbage scow which was made fast to the dock. Both vessels had large holes in them and quickly filled with water and quickly sank. It was very foggy and the tugs lights were visible and she kept blowing her whistle. The tugs crew included: the captain, an engineer, a fireman, a deck hand and a steward. The scow had two men on board. All made it to safety. Michael Moran of 143 Summit had offices at 12 south Street, New York. The tug had only been in service for 5 years. Estimated damage $10,000. The tug had been making regular runs to Sandy Hook. Michael Moran and his son, Thomas F. Moran, were said to own several tugs. They had a contract with the Inman and White Star lines to bring the steamers from Sandy Hook to the New York docks. An effort would be made to raise both vessels. Death of Margaret Haggerty Moran: After 1880 and before 1892. 1884? Moran Margaret, age 43, October 5, 1884 Kings #10824????? 1893: Michael Moran's powerful ocean tug the R. C. Viet while lying in the Commercial wharf on February 21, 1893 looked like a miniature iceberg. She had towed a bark from Nassua to Brooklyn but lost the bark in a gale. The bark was probably alright and would turn up in a day or two. 1894: July 7, Michael Moran of 143 Summit street and Charles Cohen, a shoe merchant of 335 Hudson street New York, reported that a diamond stud valued at $125 had been stolen from them when they were at Coney Island in fount of the Sea Breach Palace on July 4th. Mrs. Moran was called to identify the stud which the police had recovered. This must have been the second Mrs. Moran. Baptism: Fran Moran Birth Date:	1 Mar Baptism Date:	10 Mar Father:	Michael Moran Mother:	M Hagerty God Parent:	Peter Hagerty God Parent:	M A Kennedy, no year. Michael MORAN, president of the MORAN Towing and Transportation Company, who was familiarly known as Commodore among transportation men, died yesterday at his home, 10 First place, in his seventy-second year. He came from Ireland with his parents, and when 9 years old worked as a driver on the Erie Canal. He finally became the owner of a canal boat. In 1860 he started as a towboat owner in New York. He was a member of the Maritime Exchange and the National Board of Steam Navigation. The Association for the Protection of Commerce held a meeting at noon to-day in the Chamber of Commerce and took action on Mr. MORAN's death. He leaves two sons and a daughter. The funeral services will be held to-morrow morning at St. Stephen's R.C. Church, in Hicks and Summit streets. The official Moran story of the founding of the company says that Michael Moran immigrated from Ireland, worked on the Erie Canal, and saved enough money to buy a $2,700 half share in the Ida Miller, a steam tug, in 1863. In a 1976 article published in several newspapers including the Cumberland Times on November 7th, Thomas F Moran said that his family and other tug owners all had offices on South Street in Manhattan. The tug captains hung out in a local saloon. When a boat was arriving they would all get in their tugs and race to Sandy Hook and haggle over prices. Thomas F Moran said Michael Moran was from West Meath. The Moran towing history has been told numerous times in various articles and books. The "partner" in the purchase is never mentioned. All agree that Moran's first tug was the Ida Miller circa 1863. Other articles say he owned the Ida Miller and the General Rosecrans, both "second hand" tugs, when he built the George L Garlick in 1878 and the Maggie Moran in 1883. 1901 Eugen Moran of 211 President street, Tug boat "Peter Cahill" of the Moran Towing Company. 1925: July 20, death of Catherine Moran, widow of Michael Moran, in Hot Springs Va. Funeral from her late residence 10 1st place. Mass St Stephen's Church, Summit and Hicks.